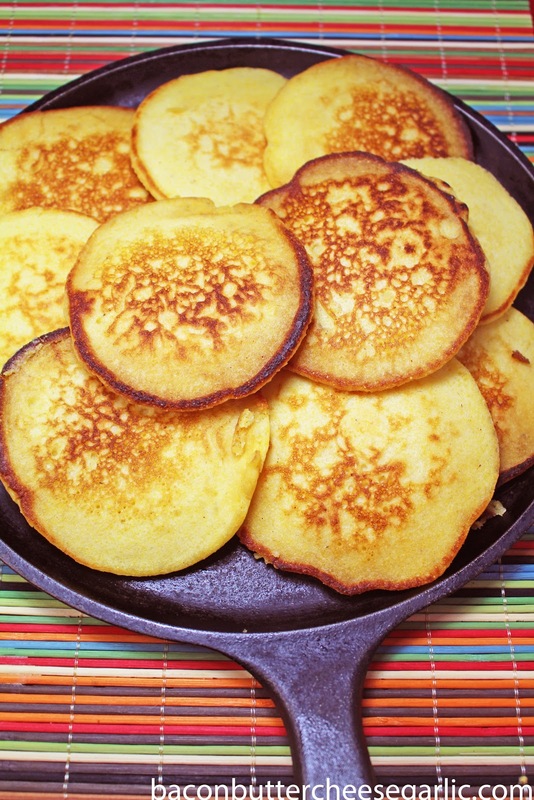 These Southern Cornmeal Hoecakes have a funny name, but they sure don't taste funny. Supposedly workers in the fields would cook these on the backs of their gardening hoes. I don't know if it's true, but that's what we call them in the South. Up North they're called Johnny Cakes. They're kind of like a savory pancake. They are great by themselves with butter or as a soup topper or with chili. Enjoy! Whisk all of the ingredients together except the butter. Heat up a skillet to medium high heat and melt in some butter. Using a 1/8 inch measuring cup, pour circles of the batter into the skillet. Let them brown on the bottom side before flipping them, like cooking pancakes. Serve hot with additional butter, if desired. You can keep them warm in a 200 degree oven on a sheet pan while frying the remaining circles. I just realized a few days ago that Thanksgiving is next week! How did it sneak up on me! I've got some big planning to do in a short time. This is also crunch time for me at work. Since I work in a cafe & bakery, we are very busy for the holidays. We do full catered dinners for Thanksgiving, about 300 pies just for one day, and a multitude of other things. We work hard and late, but we try to have fun while we do. In times like these, I struggle to cook because I'm too tired or it's too late. If I do cook, I try to make really easy stuff. 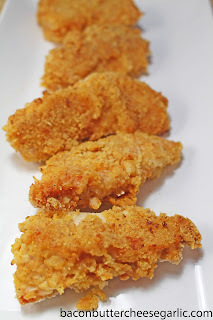 I made these Oven "Fried" Chicken Tenders the other night. It was pretty quick to do and the cleanup was way better than getting the fryer out. No, these aren't healthy, just easy. The ingredients for the coating give it a good crunch and a great flavor. These are great with Ranch or Buffalo sauce. It was quick, easy, and darn tasty! Enjoy! Slice the chicken into tenders and put them into a casserole pan or something to marinade the chicken in. Mix the buttermilk, seasoned salt, black pepper, garlic powder, onion powder and paprika together. Pour the mixture over the chicken and marinade at least 30 minutes. Preheat the oven to 400 degrees. Mix the dredging ingredients together. Melt the butter in the oven on a large sheet pan. Press the chicken into the flour mixture, back into the buttermilk, and then back into the flour. Place the chicken fingers on the sheet pan in the butter. Bake the chicken for about 15 minutes. Turn it over and bake for an additional 5-7 minutes or until the chicken is browned and done through. 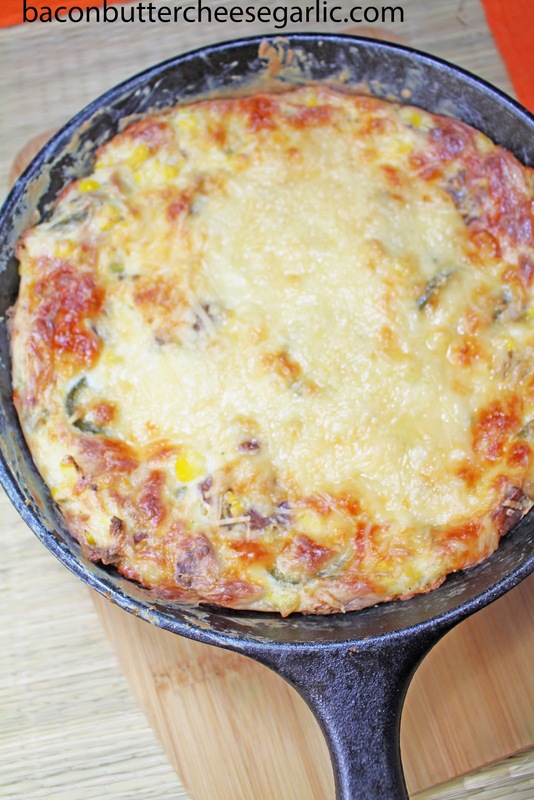 Here's a great baked dip that's super easy, super cheesy, and darn tasty! This Bacon, Corn & Jalapeno Dip is great with crackers or tortilla chips. Enjoy! Preheat the oven to 400 degrees. Put the green onions, jalapeno slices, cream cheese, corn, salt & pepper, garlic powder and onion powder into a small ovenproof skillet. Stir and melt the cream cheese over medium high heat. When it's all combined, stir in the Mozzarella cheese and the bacon. Sprinkle the Parmesan cheese over the top. Put the skillet in the oven and bake for 20 minutes. Serve with crackers or tortilla chips.